Collaboration and innovation are the dual roads that lead to success in the marketplace. 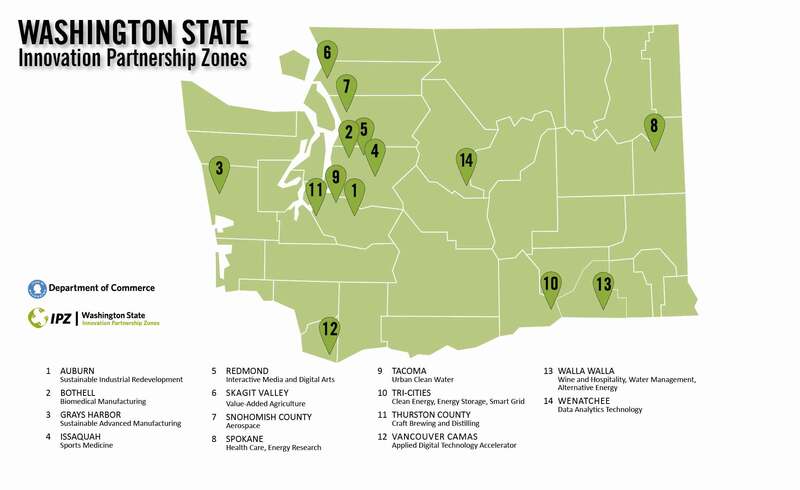 Recognizing the power of partnering with like-minded companies and individuals, Washington has launched Innovation Partnership Zones (IPZ) around the state. To view IPZ business plans (they will open as PDF files), click on the IPZ location (bold blue text) below.